When my mother tells me I have to read a book, it’s written in a way no other book she’s ever read is written, and then gives me the book, I read it. I was so impressed by this unprecedented move on her part, I read Lincoln in the Bardo by George Saunders in less than 24 hours. Lincoln in the Bardo. Yes, that Lincoln. And his son, Willie. The one who died. And the Bardo, according to Saunders’ website, is what purgatory is known as in the Tibetan tradition. As you may remember, William Wallace Lincoln died of apparent typhoid at the age of 11 in 1872, during Lincoln’s second year in office. Specifically, he died at 5 p.m. on February 24, a few days after the Lincolns hosted an extravagant state dinner during which the President and First Lady traipsed upon and down the White House stairs any number of times to check on their beloved child. In Saunders’ novel, the two events — dinner and death — seem to occur simultaneously. Newspapers reported at the time that Lincoln returned to Willie’s crypt several times. From this truth, Saunders launches a spectacularly innovative novel, a large portion of which is composed of a compilations of citations from actual historical novels. The rest of the narrative is composed of the voices of … well, of the residents of Oak Hill Cemetery, where Willie Lincoln was entombed. Especially given what we knew. As is their custom, several denizens of the cemetery greet young Willie moments after he arrives, expecting him to move on quickly, as most young people do, in the “matterlightblooming phenomenon” by which the cemetery dwellers leave the place. But Willie doesn’t move on. He’s waiting. Waiting to see what his father wants him to do. I found Saunders’ reach into the historical citations and commentary a fascinating tool. He compiles these quotations not as a means of bolstering his own story, but quite often to show the divergence of history reportage. In fact, perhaps he is making the commentary that fact is as fictional as fiction. A stimulating concept in these days of fake news. A common feature of these narratives is the golden moon, hanging quaintly above the scene. There was no moon that night and the sky was heavy with clouds. A fat green crescent hung above the mad scene like a stolid judge, inured to human folly. In “My Life,” by Delores P. Leventrop. The full moon that night was yellow-red, as if reflecting the light of some earthly fire. If this reminds you of Our Town, you’re not alone. I’ve had the good fortune of performing in both Thornton Wilder’s beloved play and in Spoon River Anthology by Edgar Lee Masters and it seems to me that Lincoln in the Bardo owes as much to these two dramas as it does to Neil Gaiman’s The Graveyard Book and Edward Gorey’s body of work. I most enjoyed the sections of the novel that escorted me inside Abraham Lincoln’s mind, Saunders’ portrait of the turmoil of family and country roiling the President, the citations of historical criticism that speculated Lincoln would be the worst president in history. Additionally, there are descriptions of towering sugar confections, where chocolate fish swim in a pond of candy floss and hives swarming with lifelike sugar bees are filled with charlotte russe. 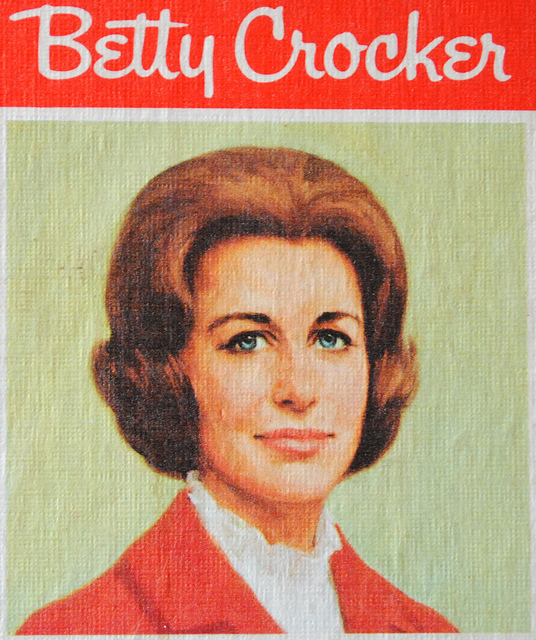 According to Betty Crocker, a “russe” is a molded dessert. Charlotte Russe is made of lady fingers and Bavarian cream. I found a nice explanation and a recipe for a Victorian Charlotte Russe on the Great British Bake-Off web site: http://www.telegraph.co.uk/food-and-drink/recipes/the-great-british-bake-off-how-to-make-a-charlotte-russe/. My menu would include small muffins and rolls with turkey and Virginia ham. I would avoid the pheasant, partridge and venison, since I don’t have a source for those, but oysters depending on the time of year would be fun. A few years ago, I was able to perform in the Lincoln Bicentennial celebration at Washington’s Kennedy Center as part of the Lexington Singers organization. Our performance was comprised of multiple Civil War songs including The Battle Hymn of the Republic, Dixie, When Johnny Comes Marching Home, the Battle Cry of Freedom, the Star-Spangled Banner. My favorite was a version of Shenandoah. This is a lovely version of that: https://www.youtube.com/watch?v=W1EG_4IBzbA. These are the opening lines from Everything I Never Told You, by Celeste Ng, and The Fates Will Find Their Way, by Hannah Pittard. I happened to pack both for my summer vacation without realizing that despite differences in story-telling technique, both concern high school girls gone missing: Lydia Lee, a tenth grader at Middlewood High School in Northwest Ohio disappears on May 3, 1977 in Ng’s 2014 bestseller. Nora Lindell disappears from her widowed father’s home somewhere in the Midwest on Halloween, sometime in the late-1980s in Pittard’s debut novel. Both Lydia and Nora leave gaping mysteries in their wake to be unravelled by those who loved them most. In Lydia’s case, her parents and her siblings, Nath and Hannah. In Nora’s, a chorus of neighborhood boys who speculate about Nora’s life, alternate theories of disappearance, her sole sibling a younger sister and just whose children the three girls are who turn up for Mr. Lindell’s funeral. Everything I Never Told You begins with the traditional end. Lydia is dead and her family finds out about it within a few pages of the beginning of the book. What remains is a meditation on the family’s life, the role of a mixed marriage in a tradition-bound place and time, the pain and recrimination and guilt associates with a woman who relinquished her professional dreams for her family. The New York Times gave it high praise and named Ng’s debut novel a notable book of the year. 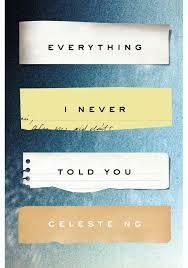 Everything I Never Told You satisfied all my requirements for a great read: complex, interesting characters, beautiful language, a fascinating plot. The touchstone references of the Partridge Family/Brady Bunch were a special treat. 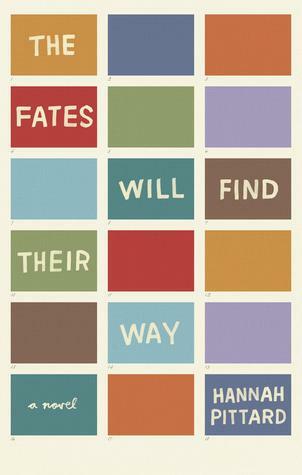 The Fates Will Find Their Way is another debut novel. Pittard uses the collective voice of the neighborhood boys who were fascinated by Nora Lindell and her sister, Sissy, to speculate as to why she disappeared (she ran away to her grandmother in Arizona; she was molested by a teenager in a Catalina; she was murdered and buried in the leaves two counties away; she caught a plane and never looked back), and what may have happened to her (she died on November 1, 1977, she lived with a man in Arizona and had three children, she ended up in Mumbai). It is not Nora or Sissy that is important in the reflections of the boys – to – men, it is how their perceptions of Nora reveal their own growth, development, their own triumphs, failures, losses, disappointments, disasters and tragedies. As deeply felt as “The Fates Will Find Their Way” might be, it only circles around a plot, and so its collective voice eventually loses strength. The more characters are peeled away from the group, the less powerful the original collective becomes. We wind up knowing little more at the end than we did in those opening pages. I have recently read The Virgin Suicides, Jeffrey Eugenides, and found these two novels similar in plot, technique and voice. 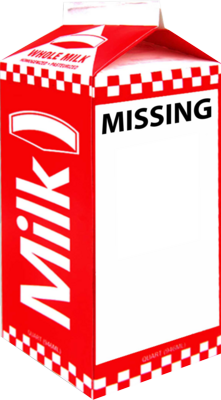 Maybe it’s the success of Gone Girl, or the Nancy Grace factor, or simply the existence of Fox News’ Missing Girl channel, but it seems like every time I turn around there’s some version of the missing teen mystery playing somewhere. These two novels, at least, give the old story a new twist. Both are excellent book club choices with lots of fodder for discussion — both in terms of plot and execution. Char Sui Bau: Chinese pork buns. I wouldn’t try to make them, but they play a critical role in the book and it would be fun to purchase some for your party. Eggs: Scrambled, Boiled, Over Easy. Your choice. Or go for the full commitment, and make them to order. Heat oven to 350°F. Grease and flour bottom and sides of 13×9-inch pan, two 9-inch round cake pans, or three 8-inch round cake pans. In large bowl, beat all cake ingredients with electric mixer on low speed 30 seconds, scraping bowl constantly. Beat on high speed 3 minutes, scraping bowl occasionally. Pour into pan(s). Bake rectangle 40 to 45 minutes, rounds 30 to 35 minutes or until toothpick inserted in center comes out clean. Cool rectangle in pan on cooling rack. Cool rounds 10 minutes; remove from pans to cooling rack. Cool completely. In 2 1/2-quart saucepan, mix all frosting ingredients except vanilla. Heat to rolling boil, stirring occasionally. Boil 1 minute without stirring. Place saucepan in bowl of ice and water. Beat until frosting is smooth and spreadable; stir in vanilla. Frost rectangle or fill and frost layers with frosting. Everything contains more music references. Things like the Partridge Family and Waterloo (ABBA). Given that Lydia disappears in 1977, any songs from that era would be grand. No suggestions on this for now. Feel free to add your own!